Easwaran taught passage meditation and his eight-point program to audiences around the world. 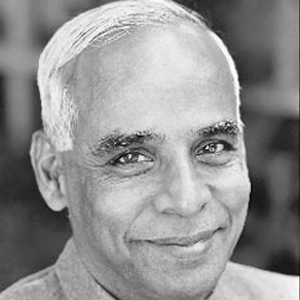 Eknath Easwaran (1910–1999) is respected around the world as the originator of passage meditation and an authentic guide to the timeless wisdom of both East and West. In thousands of talks and his many books Easwaran taught passage meditation and his eight-point program to an audience that now extends around the world. Rather than travel and attract large crowds, he chose to remain in one place and teach in small groups – a preference that was his hallmark as a teacher even in India. “I am still an educator,” he liked to say. “But formerly it was education for degrees; now it is education for living.” His work is being carried forward by his wife, Christine Easwaran, who worked by his side for forty years, by his students, and by the organization he founded, the Blue Mountain Center of Meditation. Once upon a time (so the myth goes), a woman went with her little boy to see Gandhi. She and her son had to travel across most of India. It was a really long trip. Then she and her son had to wait in line all day. It was a really long line. Then, alas, she and her son got to see Gandhi.